Pakistans Foreign Minister Shah Mehmood Qureshi has expressed satisfaction with the ongoing visit of Saudi Crown Prince Mohammed bin Salman to Islamabad and said Pakistan is his second home. In an interview with Al-Hayat paper, the top diplomat described his countrys ties with Saudi Arabia as strategic and exceptional and added there is a deep political understanding between Pakistan and Saudi Arabia. Saudi Arabia was the first country which stood by Pakistan amid its sufferings. We never forget the Saudis stance because it was Saudi Arabia which accepted Pakistans demand to postpone its oil debt to prevent from an economic crisis in our country, he added. He then described Saudi Arabias support as wonderful and said Pakistan praises the Saudis for their supportive move. We warmly welcome the visit of the Saudi crown prince to Islamabad. Pakistan is his second home and hosting him is a privilege for us, he said. The foreign minister then added the visit of bin Salman to Pakistan will have a new aspect in the two sides relations. In addition to economic aspect, the historic ties of the two countries will get deeper by the visit, he noted. 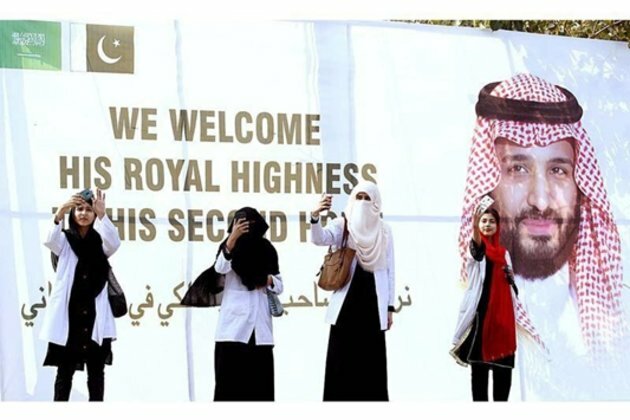 Saudi Arabia's crown prince arrived in Pakistan on Sunday at the first leg of his tour of South Asia and China, but the visit risks being overshadowed by escalating tensions between India and Pakistan. Cash-strapped Pakistan is welcoming the crown prince for a visit during which he is expected to sign investment agreements worth more than $10 billion.